Battling with a less than stellar sleeper? 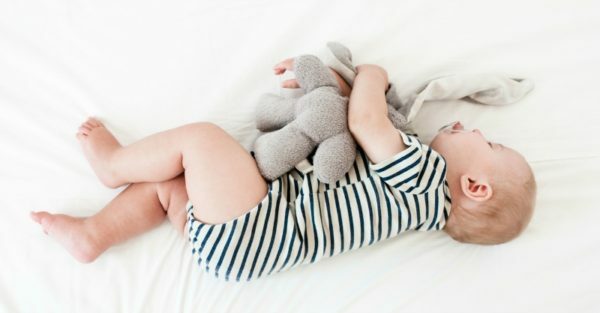 This mum reveals the biggest mistake she made while trying to get her baby to sleep through the night … and how she rectified it. Throughout my first pregnancy, many a well-meaning friend and family member offered tips on how I could get my baby to sleep. “Try Save Our Sleep,” urged my sister-in-law. “You must use CIO (cry it out) if you’ve got a hope of getting some shuteye,” advised my friend with three kids under six. As new parents, how quickly you can get your baby sleeping through the night can very much feel like your first crucial parenting test. Who hasn’t encountered that boastful mother who claims her baby started doing so at just eight weeks? There seems to be a common misconception that babies should be sleeping for 12 uninterrupted hours every night – from 7pm to 7am – and if they’re not, you must be doing something gravely wrong. To be clear, most sleep experts classify “sleeping through the night” as five hours, so it’s possible most well-fed bubs will be logging those kinds of hours by four months. That’s not really the straight eight that constitutes a sound sleep for adults, nor the 12 hours we expect of our babies, so the trouble lies in our definition of “sleeping through”. 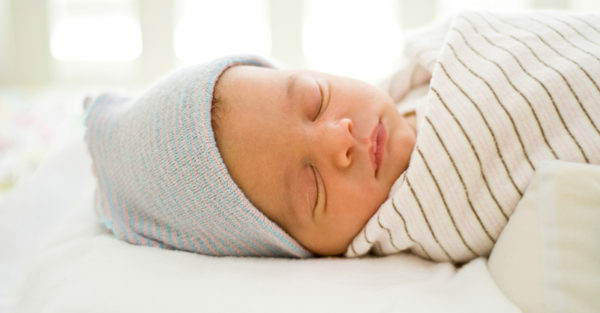 We have in fact, already set ourselves up for failure if we expect that kind of sleep performance from a newborn. I took my job of getting my baby to sleep through the night very, very seriously. I logged every single snooze – from daytime catnaps to the overnight stretches – meticulously in an app, and studied each 24-hour cycle like it was the Rosetta Stone. The first few weeks went by in a demand-and cluster-feeding blur, but by 12 weeks we were down to two overnight feeds and by 16 weeks down to one feed, with my son (and I!) enjoying lovely long stretches of eight, nine and even (occasionally) 10 hours throughout the night. We made it through the four-month sleep regression relatively unscathed, but by month six we were back to two overnight feeds. Solid food equals sleep … right? Many an expert (or seasoned parent) will tell you that starting solids will help previously wakeful babies start sleeping through the night. My maternal and child health nurse advised me to fill up my son with lots of protein throughout the day, but starting solids seemed to cause him to wake more, not less. At around the seventh-month mark, he suddenly became ravenous, waking for long stretches of the night to feed. Whether it was down to a growth spurt or simply that I wasn’t feeding him enough throughout the day, the two overnight feeds would take nearly an hour each. By this stage, this mama was battling some serious sleep deprivation! Months eight to 12 were where it got really challenging, though – multiple wakings, sometimes four, five or even six times per night, and horridly early wakeups (like 4.30am early, when he’d be wide awake and ready to start his day). My husband and I established a workable routine. He was relegated to the spare bedroom, and I took on the overnight shift. Whatever time my son woke for the day (anywhere between 4.30am and 7am) hubby would take over, before leaving for work at 9am, during which I would try and cobble together at least a few hours of shuteye. A week before his first birthday, my bub came down with a nasty bout of tonsillitis and woke every half an hour for three consecutive nights. If I had not spent the previous five months in varying degrees of sleep-deprived hell, I might have been able to deal with a few sleepless nights while I nursed him through his fever, but as it was, I’d reached my limit for coping. I spent the next day desperately calling sleep schools but was told it would be a three to six-week wait. Hearing me struggling to hold back tears, the exhaustion evident in my voice, one of the sleep consultants took pity on me. She spent 45 minutes on the phone, talking me through where I was going wrong and what I could do to help get my baby to sleep … and stay asleep. Now, this is where I come clean about the gravest mistake I made when it came to my baby’s sleep. But I’ll be real – I made lots of mistakes! Chief amongst them was that I kept my son in my bedroom way longer than I should have. Our second bedroom (what should have been the nursery) is a brighter, noisier and colder room – none of which is conducive to a baby sleeping soundly – so I resisted making this his bedroom. I also kept him in with me because I didn’t want to have to shuffle back and forth between the two bedrooms all night every time my son woke. Mistake number two? I responded to Every. Single. Cry … Immediately. When my bub was a newborn, my maternal and child health nurse recommended I try to respond to his cries within 90 seconds. And I took this to heart. What I didn’t realise is that she meant only in the newborn phase! I was still attending to my son’s every grizzle by his first birthday. This meant any sleep training was simply out of the question. And my third crucial mistake? Towards the end, I comfort fed every time my son woke; even if that was every half hour. It was the quickest, easiest way to get him back to sleep, and at 4am, you can be sure I was going to take the path of least resistance. We said goodbye to all the shortcuts and quick fixes. My son got his own room (okay, full disclaimer: he’s still in the master bedroom – the darker, quieter, warmer room – while hubby and I bunk in the second bedroom together), day naps went from being taken in the pram to the cot; I put a stop to the comfort feeding, and crucially, we instigated some controlled crying/comforting. Within the very first night, bubs woke only once in an 11 hour period and I wondered why the hell I hadn’t implemented these changes a whole lot sooner. Looking back, I think my husband and I were running on adrenaline. And we were so tired that we couldn’t see a way through it. If something isn’t working though, don’t be afraid to get advice and change up the routine. Even some minor tweaks can reap huge benefits … and some glorious, uninterrupted sleep for the whole household.